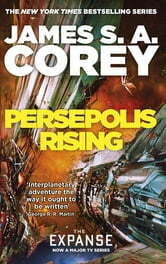 "Persepolis Rising", the seventh book in the "Expanse" series, is far better than the previous two. It also changes drastically all that we know about the political situation in the "Expanse" Universe, which makes it one of the best books among the latest installments. The characters are slightly older, as this takes place quite some time after the last one, and this changes the action as well, as some of them are unable to do the usual things we were used to, due to... well... old age. Dwelving into an analysis of the action would only bring along spoilers, which I avoid in my reviews, but all can I say is that fans of "The Expanse" will definitely love the new installment. It also brings along some crazy plot twists that in my opinion were long-awaited. 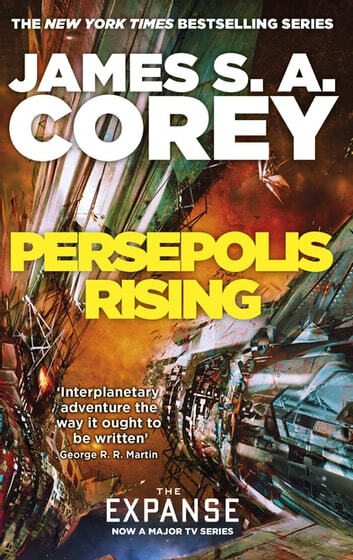 The series lately lacked a proper substance, however, "Persepolis Rising" feels more action-packed, even though the action is stretched on fifty-two long chapters which often rely on tedious descriptions of how the characters feel, rather than focus on what they should be doing. The expanse as a series just keeps getting better and more interesting! Well written and builds on the previous books. Can’t wait for the next one. A great book to continie the series, with space combat and more to add to it. would recommend to anyone.